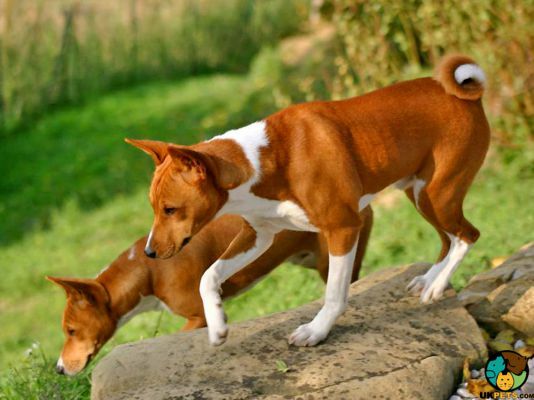 Playful, clever and energetic, the Basenji is a comical hound dog. He exhibits cat-like tendencies when it comes to cleanliness, independence and level of curiosity. The Basenji is not the right breed for people who don't have a sense of humour and who can’t manage the occasional destruction at home. 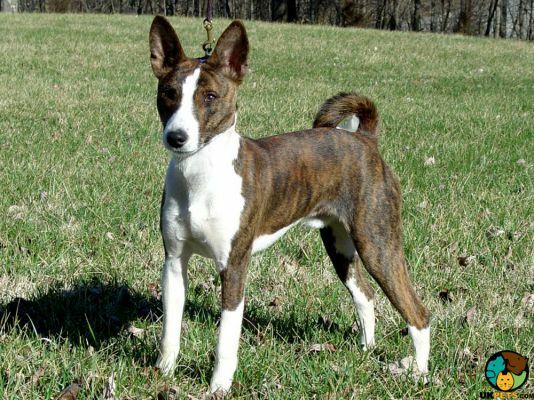 The Basenji was bred as a hunting dog in Congo, Africa. It has a short, fine coat that is easy to groom. 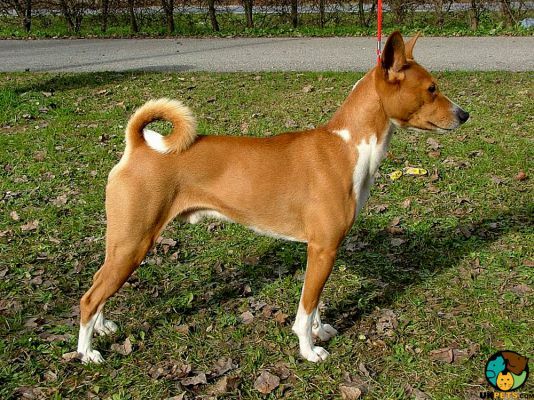 What is interesting about Basenji is the fact that they don’t bark. Instead, they produce a sound much like a chortle or a yodel. The average lifespan of a Basenji is 10 to 12 years. Are you thinking of getting a Basenji? Here is a brief background of this canine referred as the “barkless” dog. 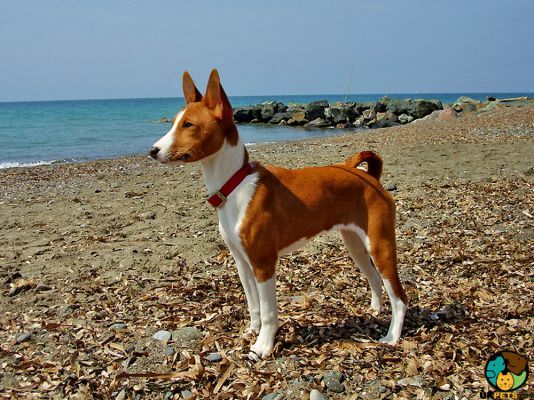 The Basenji is believed to have originated from Africa, specifically in the Congo. 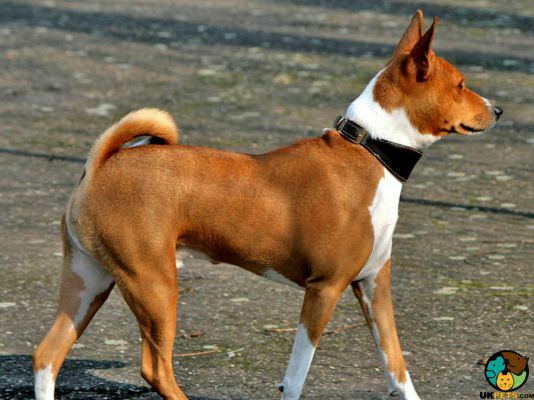 However, experts say Basenji-looking dogs who lived with humans were around thousands of years prior. In fact, the breed is likened to the ancient hunting dogs in Egypt called the Tesem. Europeans first identified the breed in 1895, cherished by Congolese locals for their speed, courage, intelligence, and silence. The breed was successfully brought to England in the 1930s thanks to the animal importer Henry Trefflich. Previous attempts were unsuccessful because the first imports died of diseases like distemper. Basenjis stand between 40 and 43 centimetres at the withers and weigh around 21 to 24 pounds. This lightly-built pooch has a distinguished aristocratic look with a flat, well-chiselled head and a graceful neck. Its forehead is wrinkled especially while still a puppy, and when it gets excited. It has dark, almond-shaped eyes, small, erect ears and a tightly curled tail. According to The Kennel Club, the standard colours are the following: pure black and white; red and white; tan and white black, tan and white with tan melon pips and mask; and black. For brindle, it should be red background with black stripes, where stripes are more clearly defined. The white tones should be on the chest, feet and tail tips. These small yet powerful hunting dogs have easy-to-maintain short hair. They have cat-like grooming habits and are very clean. Their virtually spotless coat requires minimal bathing, which can be done every few months. They shed all year round but it is unnoticeable because the hair is fine and short. Make sure to brush your Basenji’s teeth twice or thrice a week. Brushing will help prevent tartar build-up and remove any bacteria lurking inside. Nails must regularly be trimmed especially if you start hearing clicks on the floor. The Basenji has an animated character, so they are most likely to jump on you to greet you, which makes short nails best to keep your legs from accidental scratches. Also, look out for sores, rashes, redness, lesions or other signs of infection. If you find any abnormalities, make sure to have your Basenji checked with a veterinarian. The Basenji doesn’t bark but it does not mean that it is mute. It can do a cute yodel but could also growl, whine or scream. It is such an intelligent dog but is known to be one of the most stubborn breeds. As an independent thinker, it is definitely not a people pleaser. It can learn a lot of tricks but it won’t always obey upon command. It knows how to demand attention and manipulate its owners to provide what it wants. Another downside of owning this breed is its strong urge to escape. It can escape from a very challenging fenced yard if it is determined to explore, which is why it should not be left unsupervised. Basenjis are affectionate and protective towards family members. However, they are not recommended in households with very young children. They thrive with older kids who know how to interact with them properly, especially those they grew up with. Since they have a strong hunting drive, they will chase and kill small animals. This breed’s cute appearance, small stature and fuss-free grooming requirements make it an attractive pet. However, its temperament, energy level and personality can be a challenging for the typical family. It can be a handful so it is not for everybody. 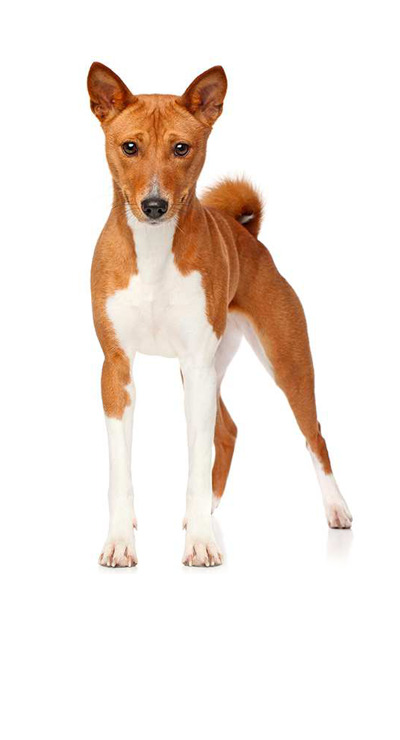 A typical serving for an adult Basenji is 3/4 to 1 cup of excellent quality dry dog food per day. Every breed is unique so the amount of food depends on its age, size, build, activity level, and metabolism. Getting to know the breed helps you determine its basic nutritional needs. You also need to take into account its individual characteristics. Inactive Basenjis are prone to weight gain, which is why it is important not to overfeed it. 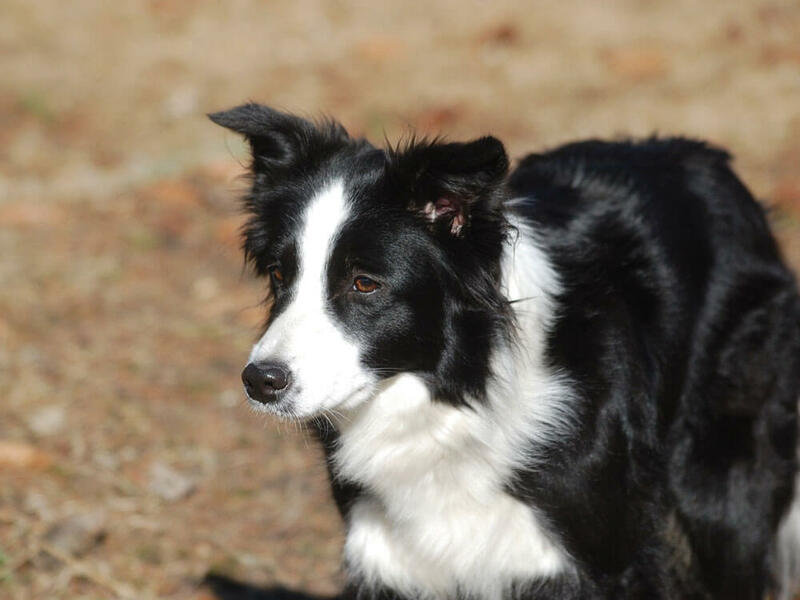 This breed thrives on diets with high protein and low carbohydrates. The primary component of its food should be meat, may it be beef, lamb, chicken, or fish. Carb sources should be from sweet potato, barley or oats and not fillers like wheat, soy and corn. Feed it with food that will nourish its joints since it is prone to Hip Dysplasia. 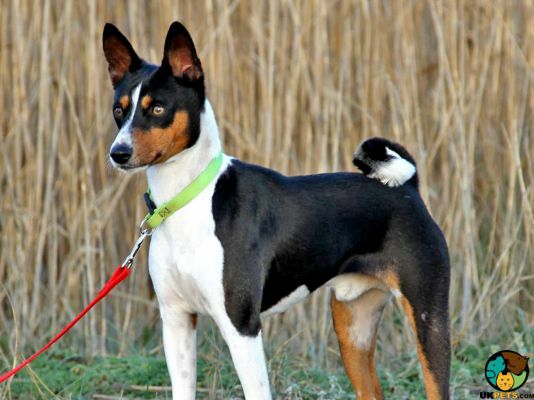 The Basenji is a generally healthy breed but predisposed to certain health conditions. This includes Hip Dsyplasia, Hypothyroidism, Fanconi Syndrome Immunoproliferative Systemic Intestinal Disease, Umbilical Hernia, Pyruvate Kinase Deficiency (Hemolytic Anemia), Persistent Pupillary Membrane (PPM), and Progressive Retinal Atrophy (PRA). Since this breed has high energy level, daily exercise is a must. Some may do fine with a simple exercise regimen like a daily walk but others prefer more exciting activities. If their exercise needs are not met, they can be very destructive and prone to chewing. There is a rewarding feeling accompanied by owning a dog. But this feeling might not translate well if one is not prepared financially. Before you start looking for a dog to buy from a reputable breeder, make sure you have already considered the financial setbacks. Owning a Basenji is by no means a cheap one, although it is way less expensive than other dog breeds. A Basenji puppy can cost you anywhere from £350 – £500. A significant portion of expenses goes to feeding this dog breed costing around £20 – £30 a month. While other things such as dog supplies, equipment and toys can set you back £200, annual health check with the veterinarian can quickly cost you around £800 per year. As a rough estimation, raising a Basenji will cost you £60 - £90 a month. Basenjis do not bark, but their whine, chortle, scream or yodel are apt descriptions of the sounds they make. Basenjis are smart and independent thinkers, which make them hard to housetrain. They have a strong drive to chase small animals due to their hunting instincts. Like any hound dogs, Basenjis are escape artists if given a chance. 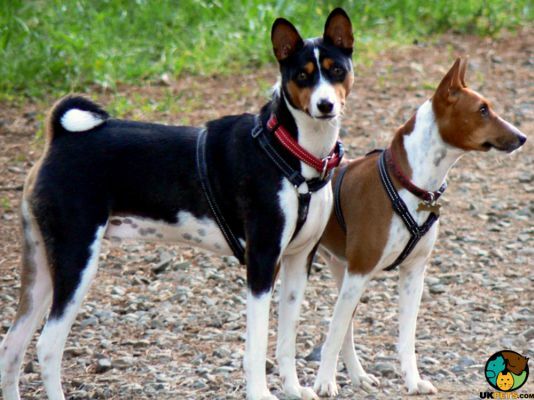 Basenjis are affectionate with family and friends but quite aloof with strangers. They are well-suited to a small city apartment if they are given enough exercise.